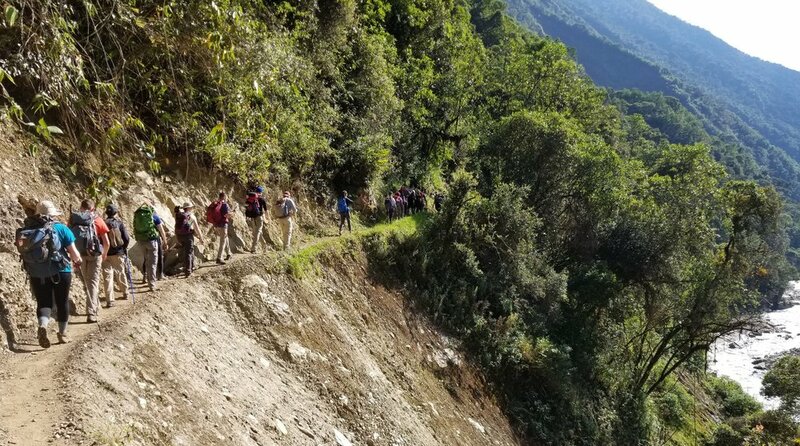 Together we raised $73,500 for the Make A Wish Foundation of Connecticut and hiked 60 miles along the Salkantay Trail to Machu Picchu. The first step to thriving on the trail is to be open to new people. Hopefully you have become close with your team over the past year of fundraising, but you've only just started to get to know them. Speaking from experience, I went into Peru with 18 teammates and left Peru with 18 life long friends. I mentioned this idea in my guide to Cusco. Overall, getting to know your teammates will make the experience better. My second tip to thriving on the trail is to become friendly with your guides. These guys are amazing. During the height of hiking season they are constantly out trekking. They live and breath the trails you are walking. They are very professional and are constantly keeping track of your health and the morale of the team. Moreover, they are incredibly positive and down to earth people that make the trek that much better. Your guides are the coolest people on Earth. They are rich with knowledge of ancient culture and history of the Cusco region. Seriously, take advantage of your guides. Not only are they experts on the trail, they typically know the in’s and out’s of the city, where the best food is, what to avoid, and where to go. Eduardo was the more serious who focused a lot on making sure everyone was healthy, eating, and waking up on time. He set the pace for the group from the front of the pack. José would lead from the caboose. He stayed with people who were struggling and gave them a boost. He would carry someones bag if they needed it or he would play music and crack jokes to get you going again. Kiké was our 19 year old trail guide in training. He was as fit as a horse He literally would run in front of the horses to guide them down the trail. He was also still learning english with help of my team, José, and Eduardo. Sharing meals with these guys sparked great conversations up and down the entire dinner table. We shared our stories, opinions about sports, riddles, gossip, and played table games like Mafia* to pass the time. Regardless of who get as your guide, they are bound to be great people. *(It's too much to explain here, but it is a great game). It’s not a race, it’s your pace. Don’t compete to be in the front of the group, all you will do is tire yourself out. Also, don’t get trapped following the exact footsteps of the person in front of you. You need to take steps that work best for you. Eventually, you will find find a pace it is slow, but consistent in which you don’t have to stop your momentum. Slow and steady wins the pace. Listen to your guides and don’t be a hero. 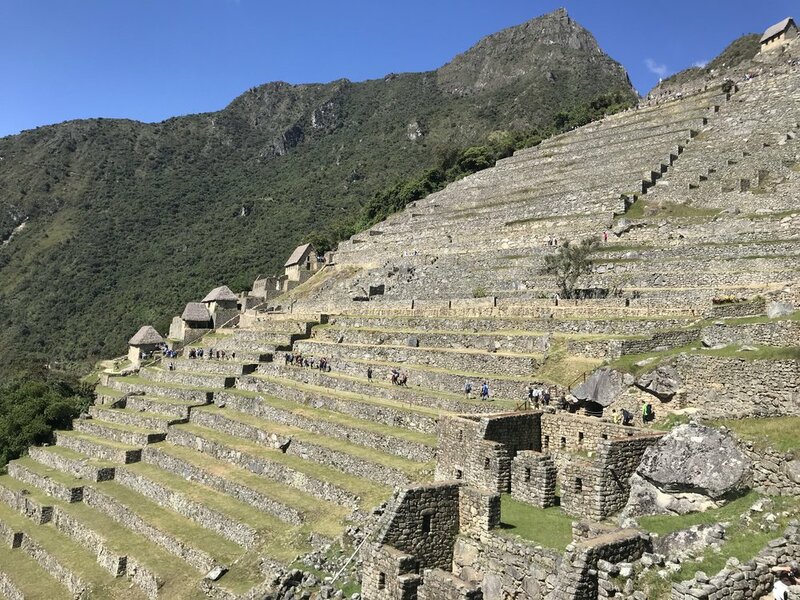 It might be frustrating to come all this way and then a guide tell you to get on a horse, get in a car, or to ride a train into Aguas Calientes. There are certain times where it's good to push through the difficulties and physical ailments, however, when a guide gives you his honest advice - just listen. You won’t get the same experience if you avoid necessary treatment or help to get through the hike. Lastly, walking poles are so clutch. It may not feel like they are doing anything, but they really do give your legs and joints some relief after all the repetition in hiking. Take pictures. Lots of Pictures. More importantly, make sure you guys set up a Google Photos shared album before you leave for the trip. You’ll never worry about getting the photos and it’s super convenient to upload the photos straight from your phone. Dryer sheets make great bug repellent. I swear it is the best thing since bug spray and better than a citronella candle. I am not sure what the science is behind it, but those of us who rubbed ourselves with dryer sheets were the ones with the least amount of bug bites. (Still bring regular bug spray though, the dryer sheets are just a great way to double down). GO TO THE HOT SPRINGS. I feel like this one is pretty self explanatory. On day four of the hike you should take the extra option to go to the hot springs for a few bucks. They are unbelievable. You would be foolish not to go. You get to relax your tired muscle in the pools, take a hot shower, and get squeaky clean again! Sub-tip: bring "two-in-one" soap so you only have to carry one bottle. This is my group doing the UConn chant in the hot springs on day 4. CONGRATS! 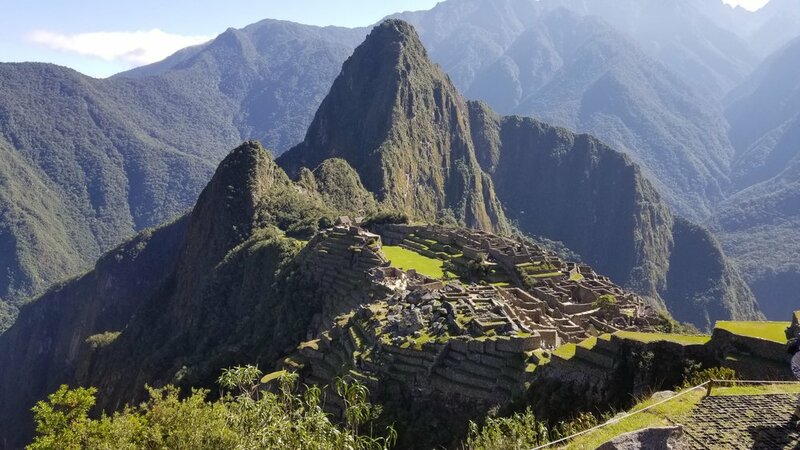 You've made it to Machu Picchu! Soak it in. You’ve just crossed the finish line. Catch your breath. Slow down. And enjoy the views. Take all the photos you can. Be a tourist. Get a seflie with a roaming Llama. 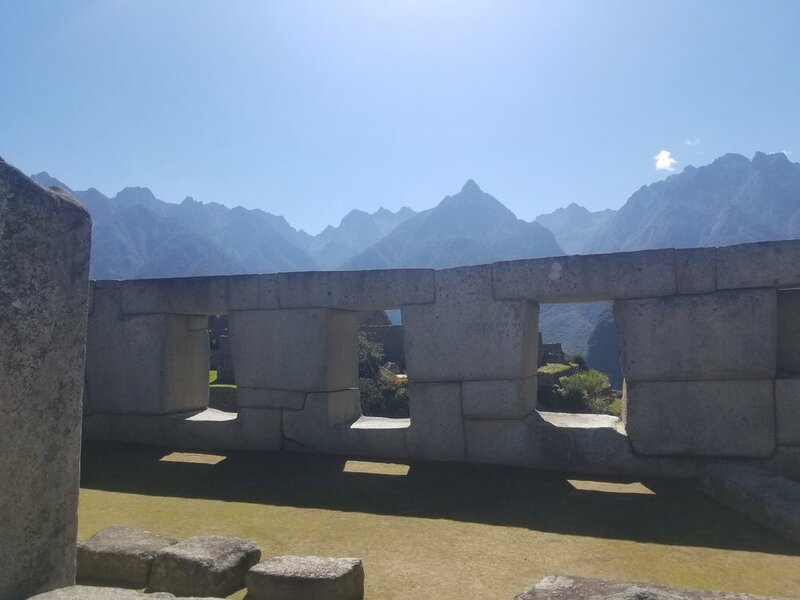 Take your time going through the Machu Picchu tour. The crowds of people are managed by a one way loop. Once you finish the loop you must leave the site. Be sure to really take your time to see everything and get your pictures. You’ve earned it. That's all for my 3 Part Guide to Peru! If you are interested in reading the other parts of "Jeremy's Guide to Peru" you can find part 1 here and part 2 here.